Warren, Ohio has had a history of beautiful, opulent city halls! 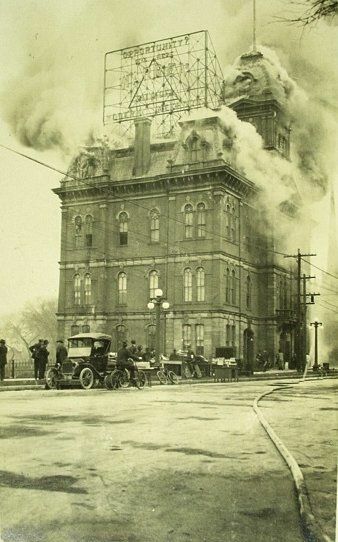 Sometime after the building pictured to the left burned in 1916, the city hall moved to the former Perkins Mansion. Unfortunately, the 'empty' building wasn't exactly....unoccupied. The large, Italianate structure that now houses the city offices was built around 1871 by Henry Bishop Perkins, a wealthy businessman and politician native to Warren. Around the time the mansion was built for Perkins and his wife, Elizabeth, their son, Henry Bishop Perkins, Jr., was born. Unfortunately, his time here on earth would be cut short. On October 19, 1900, the body of Henry, Jr. was found on the river bank west of the Kinsman property. A bullet wound to the head was the cause of death, and a suicide note reading, 'Look for me on the river bank back of Kinsmans' seemed to prove that the death was by his own hands. An obituary for the young man states the suicide may have been the result of his being overworked and over-stressed from taking care of his father, who had been in Connecticut for health reasons. And obviously, folklore has tried to fill in the missing pieces. Popular tales note that the suicide was believed to have been brought about over the murder of a young woman that Henry, Jr. was in love with and that somehow, his Aunt Lizzy had a hand in either that murder or the suicide itself. The Kinsman property, complete with original homestead, was located on the same street as the Perkins' mansion, and the Kinsmans were kinsmen. Frederick Kinsman, who built that home in 1832, had a mother (Rebecca) whose maiden name was Perkins and he also married an Olive Perkins, whose father was a local judge and who had built the home for the young couple. Distraught over his son's death, Henry Bishop Perkins, Sr., would take his own life a little over a year later. 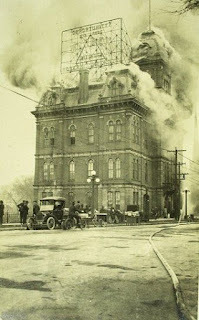 On March 2, 1902, his body was found hanging by a railing in the attic of his office, a smaller structure located on the property which would later serve as office of the city law director, within the city hall campus. Because of these two tragic suicides, less than two years apart, the city hall building has grown into its haunted reputation. Chairs move on their own, much to the chagrin of the cleaning staff. Babies are heard crying throughout the building (interesting side note: Olive Perkins Kinsman had three children before her early death at age 29. All three children died in infancy.). An apparition of a woman has been seen, which is believed to be the infamous, but mysterious Aunt Lizzy, who is also heard calling out to Henry, Jr. Police have been called to the building at night as passersby report someone standing in a window, looking out. And, an apparition of a man is seen walking up the stairs and disappearing. It is believed that the man is Henry B. Perkins, Sr. In the 1990s, one city employee actually quit her job after getting an up-close and personal look at the apparition on the stairway. She described an older man with white hair and a beard, a perfect match to the elder Perkins. Olive Perkins Kinsman's father was not just a judege. He was one of the wealthiest men in Ohio at this time. 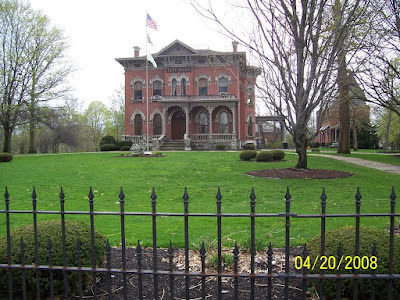 Simon Perkins founded Akron, Ohio on acreage that he bought for $4 in back taxes, created a town, and built a home very much like the Kinsman home in Akron, Ohio for his son, and Olive's brother, Simon Perkins Jr. 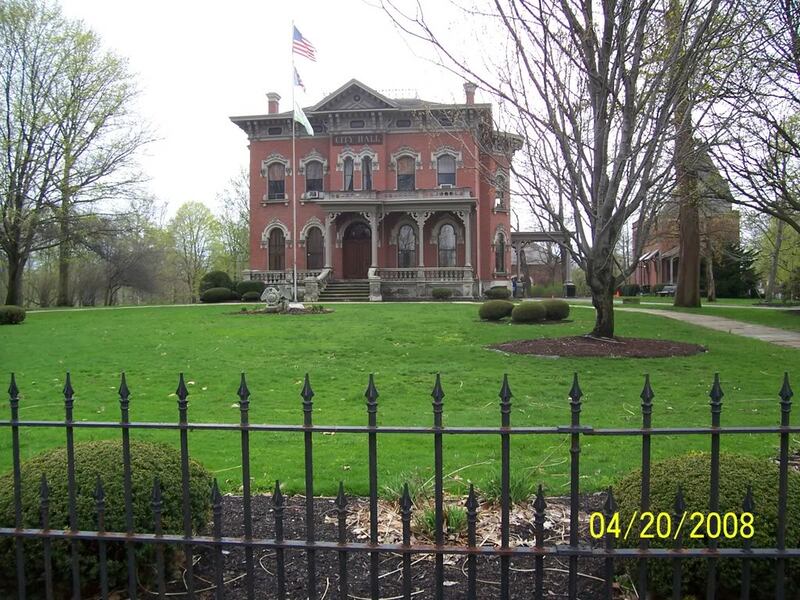 Check out the Perkins Mansion on Copley Rd in Akron. It is the site of the Summit Cty Historical Society.